Portal E-Journal Politeknik Negeri Bengkalis adalah sistem penerbitan online berbasis Open Journal System yang diterbitkan oleh Politeknik Negeri Bengkalis. 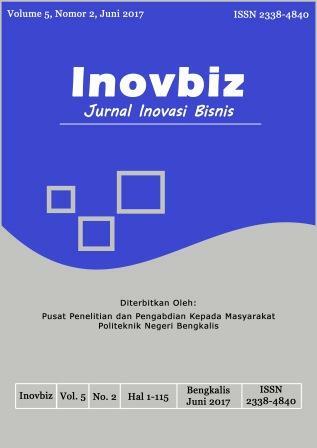 Jurnal Inovasi Bisnis (Inovbiz) focuses on how we gain knowledge through innovation and how knowledge encourages the innovation both in economics and business. It is provided for writer, researcher, professor, and practitioner who want to publish their research reports or articles, theoritical or critical study, original and up to date ideas. 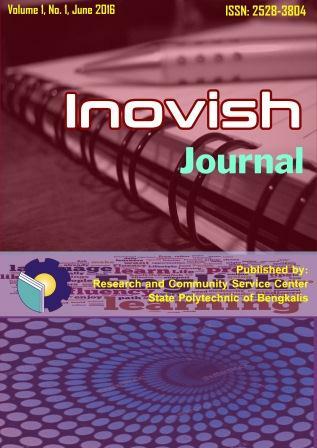 Inovbiz is an open access journal. Readers may read, download, copy, distribute, print, search, or link to the full texts of these articles without any charge. All submitted papers are blind reviewed before being accepted for publication. The authors who intend to submit manuscripts to Inovbiz should follow the norms described in the guidelines. Each volume in a year is published both in electronic and printed form with a different number. The publication with the number 1 is June and the number 2 is December. 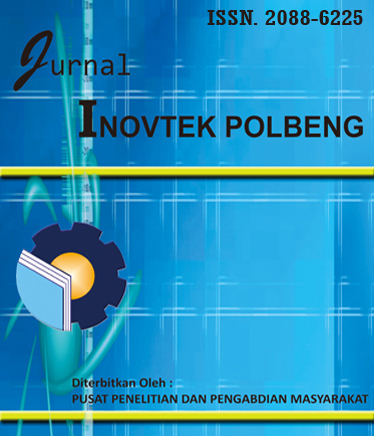 Language used in this journal is Bahasa Indonesia and English.